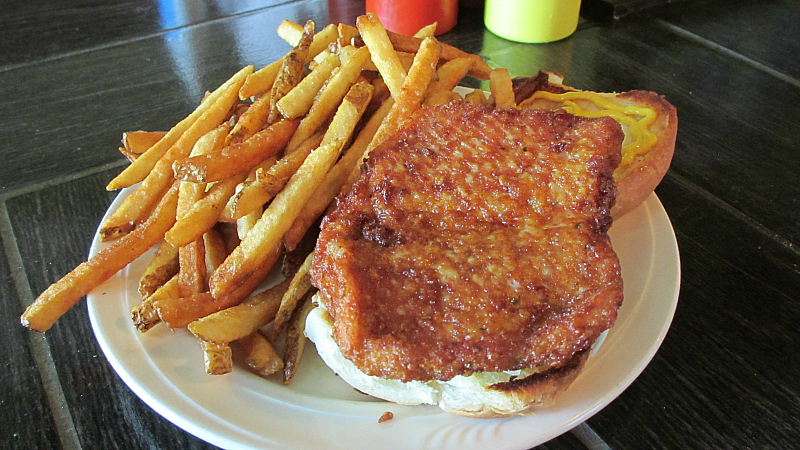 The original Shorts burgers and Shine in downtown Iowa City has been massively successful and earned mentions in every local media outlet and the New York Times. 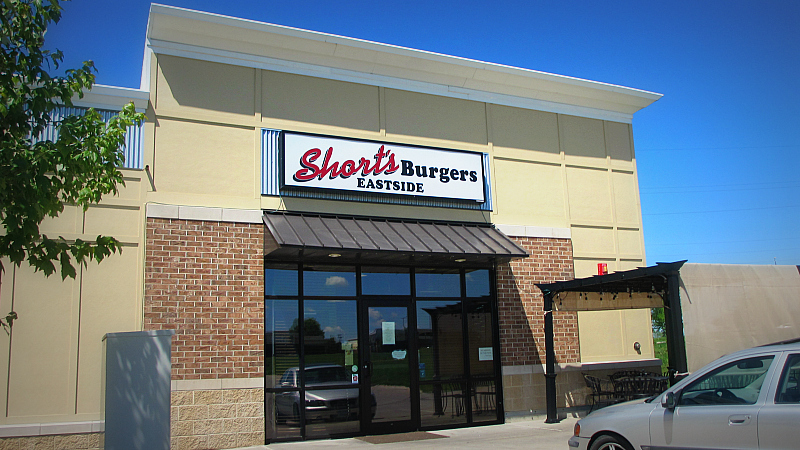 They have built up a reputation as the best burger place in Iowa City with a huge selection to choose from. Location: 521 Westbury Dr on the East side of Iowa city in Eastern Iowa. Directions: Its near the intersection of Scott Boulevard and Rochester Ave or the Herbert Hoover Highway on the far east portion of Iowa City. There isn't much else out here so you can see the place from the boulevard before navigating the side streets. 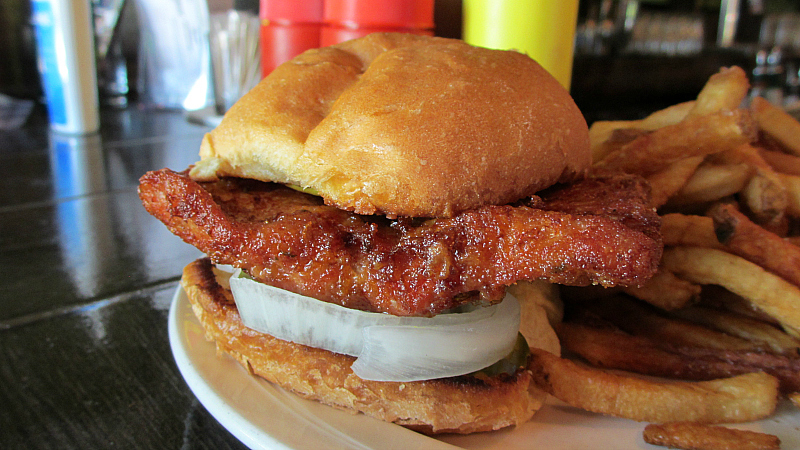 The Tenderloin: The problem here is that the cut of pork loin seemed to never have been tenderized. This was one chewy sandwich from start to finish. The batter formed a decent crunch that melted away without any real beer flavor. 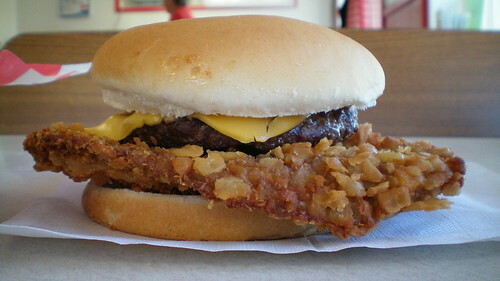 Served on a durable bun that felt calibrated for heavy juicy burgers. This seemed like an extra item tacked onto the menu. Overall 6.4 out of ten. 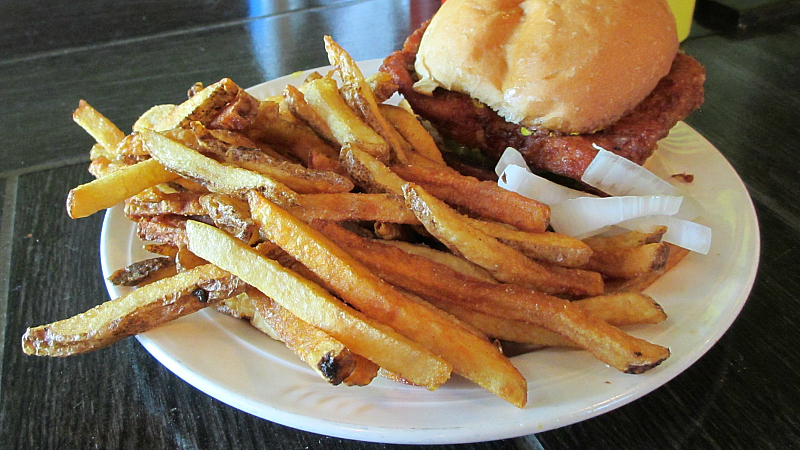 Price: $10.00 with a mountain of handcut fries that are the real star of the show. Also on the menu: I counted 24 specialty burgers, 13 chicken sandwiches, and six black bean burgers. The East location has expanded appetizers and chicken wings. Service: It seemed like students running the show while I stopped in for lunch. Ambiance: The interior design is great with nice wood fixtures on the bar and booths, with exposed metal and televisions everywhere. Final Thoughts: The location in a strip mall between Middlebury, Eastbury, and Westbury Roads feels like the geography of being nowhere. I know this area will fill up someday but right now its just emptiness. The original and East location are still places I would go for a burger. My next stop in Iowa City will probably be at Iron Hawk downtown or Shakespeare's Pub. do you have a review of the B&B Grocery Store in Des Moines? I do not see it in the one-click index. Thanks. I have not reviewed the B & B Grocery list, they have several kinds of tenderloins to choose from and I have not been around to try them all. They are a butcher shop and grocery that emphasize the freshness of the pork, and the regular loin is a real simple thing. 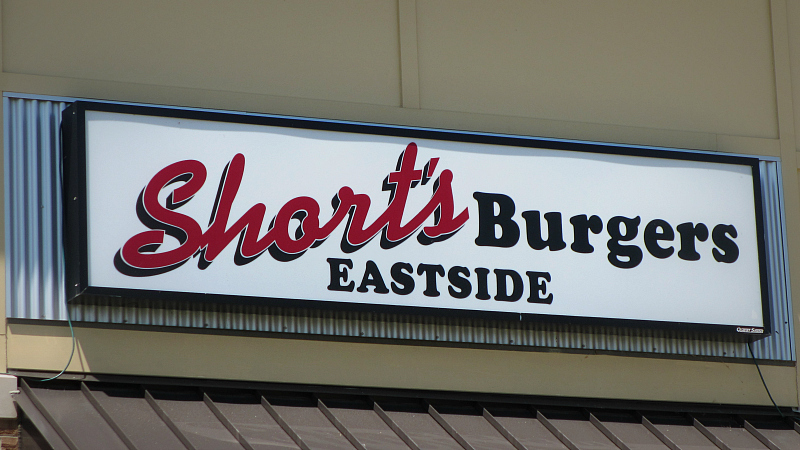 Let me get this right, so you went to Short's BURGERS & Shine with the intention of writing a review and instead of a burger you ordered the tenderloin?! ?